An expectant mother's enhanced exposure to Vitamin D via summer rays likely explains new research that indicates children born in October and November have a step up athletically. 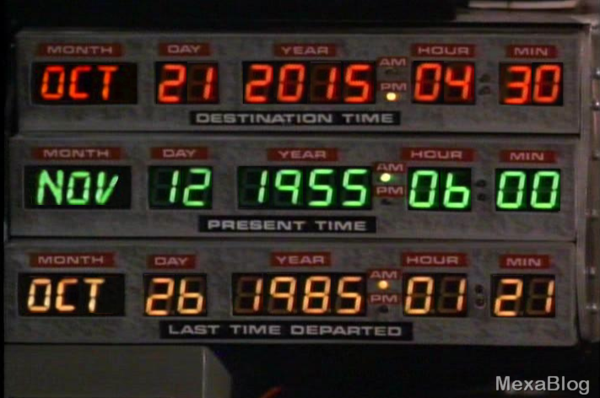 For all you heterosexual couples eager to have a kid born on the day Marty McFly visits 2015, it's time to start getting busy. Of additional interest is that children born on October 21 -- or, really, any time during mid-fall -- have an athletic advantage over kids born in other months. This is according to a new study out of the University of Essex that found a correlation between physical fitness during the formative years and birth month. According to Tyler Moss of New York Mag, the study was designed "in part, to test whether birth month affects athleticism beyond the so-called relative age effect." Just like how the oldest kids in a Kindergarten class are typically born in September-November due to the layout of school calendars, youth sports leagues are structured in a way that offers "a calendar-based advantage at certain junctures" to kids born in certain months. While the research confirmed this speculation, there appears to be more to the mid-fall birthdate dominance than just scheduling mechanics. "Why would your birth month, on its own, affect your athleticism? The researchers think it’s because the mothers of babies born in these months have greater exposure to Vitamin D as their due date draws near, thanks to those summer rays. Vitamin D has been linked to numerous in utero health benefits, and is thought to be a stimulus for bone and muscle growth, thus influencing the future athleticism of the unborn child." Of course, there are a ton of other variables that contribute to whether children will develop to be athletically exceptional: genetics, upbringing, and climate being major examples. Researchers also found that the birth-month advantage comes out in the wash as soon as adulthood is reached. Moss therefore pleads prospective parents to note that conceiving a child in the next few weeks is no guarantee of a big league signing bonus.